OLD PARKED CARS. 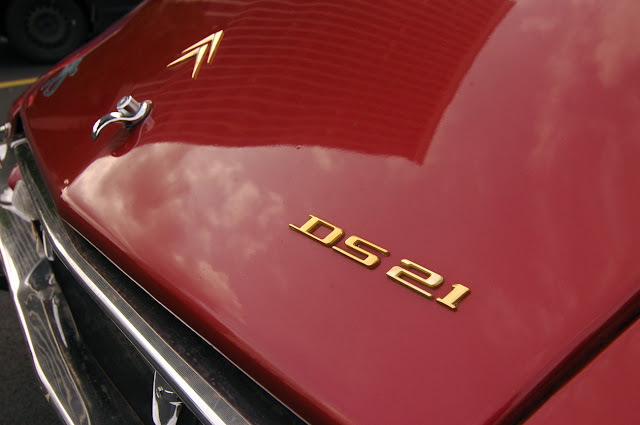 : 1972 Citroën DS21. great shots. i think i've parked in that very parking space before, but it's been a long time since i crossed paths with anything remotely old and parked in that section of town. The location, perhaps the lighting, the hockey sticker, the side markers, and the tinted headlamp covers all make this car look younger than 41. 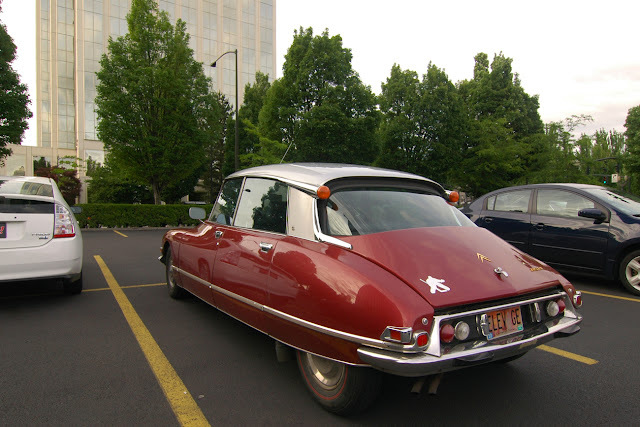 By looking at these pictures I can imagine what a modern executive boat from Citroën would look like-- they'd be driven by vaguely creative professionals, like architects. I actually saw one of these on the road here in Phoenix AZ (around 7th St and Greenway) yeaterday. I would f**k the s**t outta that thing. What a gorgeous car! Wonderful shots, great find. That backdrop REALLY makes this car stand out. Killer shots. This is easily one of the most interesting cars ever produced. Anyone with some free time so go on youtube and check out videos on the DS. They were so ahead of their time. 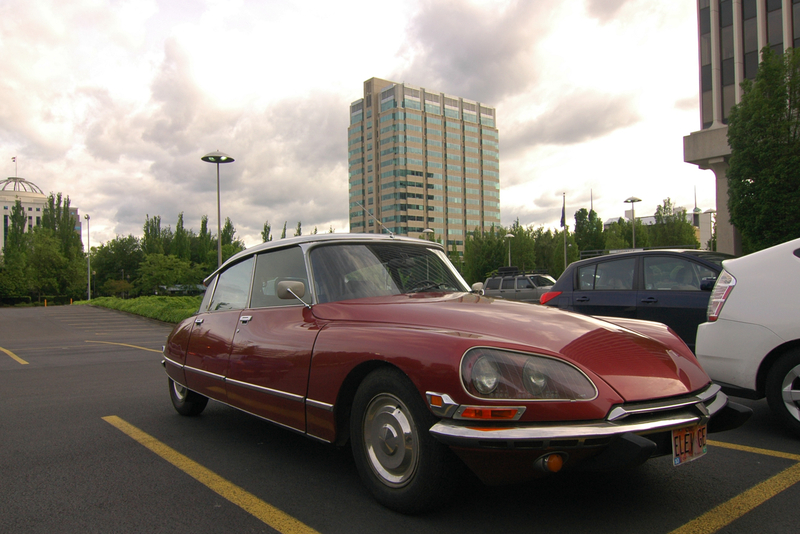 God...Citroen has never made a good looking car in their existence! What a horrible horrible looking car. I can't believe a single person would have been stupid enough to buy this travesty of a vehicle. Not one thing about it is good looking. 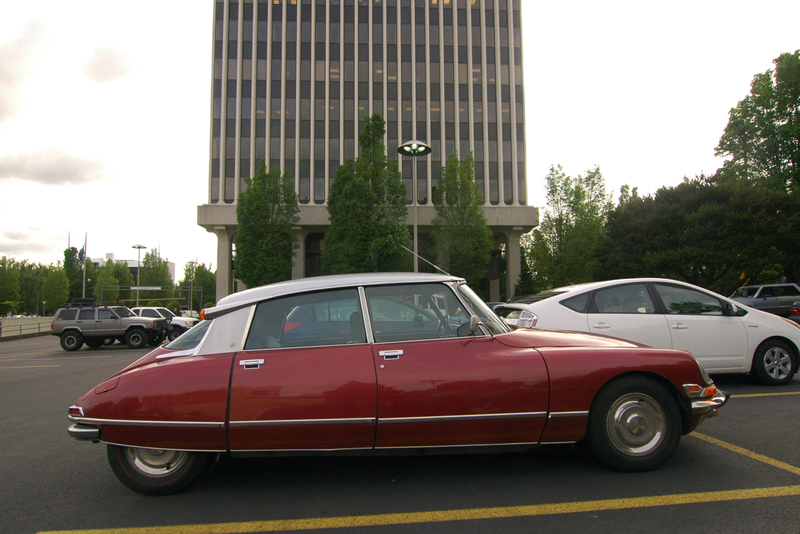 Thank God Citroen doesn't sell their garbage here anymore. Isn't that car driven on the show, The Mentalist?